How can one man do so much in just 97 years? 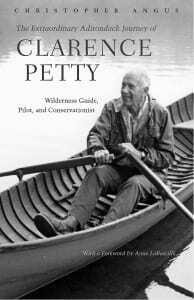 Clarence Petty is of one of the most interesting and important people ever to carry a canoe, bushwhack through the backcountry, or dedicate his life to protecting the Adirondack wilderness. And he has lived through a period of high drama in Adirondack affairs. As it winds through this crucial era of the region’s history, Christopher Angus’s richly detailed account of Petty’s life and times touches on the critical elements of decades of struggle to shape the Adirondack Park and preserve the qualities that define it. Petty is also a living link to an Adirondack past of loggers, trappers and guides that is mostly remembered today through sepia photographs in history books and displays at the Adirondack Museum. Ellsworth Petty, Clarence’s father, was born in 1862 in Crown Point and came to the Saranac Lake country in the 1880s. He guided for wealthy summer people and met Catherine Wandruska, a New York City girl employed as a summer cook at Bartlett’s Carry Hotel, whom he married in 1901.They settled on state land deep in the woods, at first in a tent and then in a cabin, from which they were later evicted as squatters by the state. 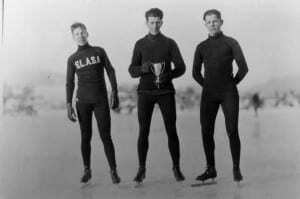 The second of three sons, Clarence was born on August 8, 1905. By 1911, the family was living at Coreys, a small guides’ settlement on the Stony Creek Ponds, in the very house where Clarence Petty resides today. In the early 20th century, poor Adirondackers still lived the life of the frontier: Everyone, including children, worked hard, enjoying none of the amenities we take for granted. But it was also a time and place of marvelous possibilities, especially for a self-reliant boy who thrived in the woods. Learning to hunt, trap and fish from his father, hiking alone at the age of 6 through miles of lonely forest, guiding urban sportsmen by the time he was 11, Petty developed a lifelong love of wild places. 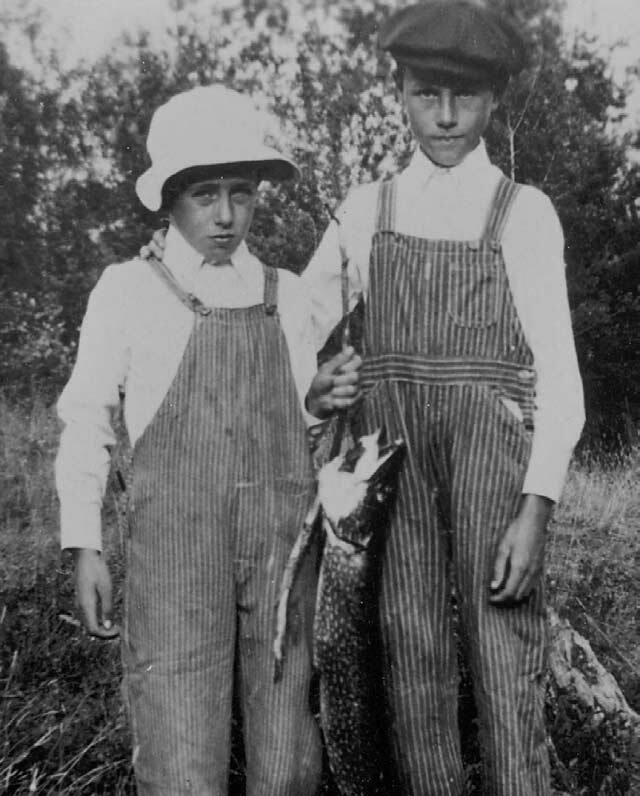 He and Bill contributed to the family economy however they could—driving deer for a local sportsman before school, weeding a spinach farm after school, shooting snowshoe hares on the trek to Saranac Lake and selling them for 45 cents each at a local market, trapping and guiding on weekends. But Clarence still found time to play football and excel as a speedskater. When he received his highschool diploma in 1925, he was voted by his class both “most bashful” and “most handsome” and was respected for his unfailing courtesy. During a life of environmental activism that often led to overt conflict, Petty was never known to treat anyone with less than perfect manners. In the fall of 1925, he entered the State College of Forestry at Syracuse. There he found the classes challenging, and again he had to take on a variety of odd jobs to support himself. Graduating in June of 1930, as the Depression was putting thousands out of work, Petty scrambled for employment; his first job was with Western Union, which sent him to Oklahoma to study telegraph poles. But after only a few months, he was transferred to New York City, stuck in a tedious office job in the middle of the nation’s biggest and noisiest metropolis. He felt like a caged animal. Looking for an escape, Petty learned to fly. 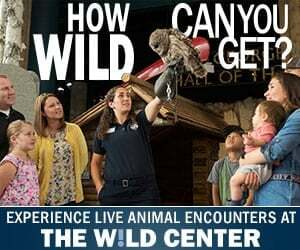 This decision led to adventures and opportunities that a poor boy from the Adirondacks would never have dreamed of. 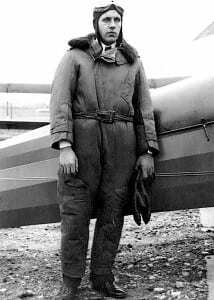 Receiving his pilot’s license in 1931, he still needed a job that would get him back to the woods. This he found with the Civilian Conservation Corps; even better, he was able to return to the Adirondacks, reporting to work at a camp near Tupper Lake, a few miles from Corey’s. Petty quickly moved up in the CCC hierarchy, and during this time he met Ferne Hastings. They married in 1938. 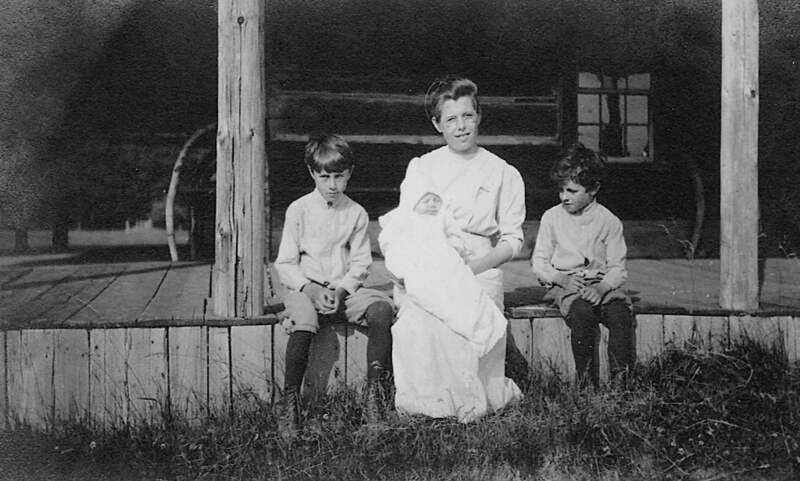 Catherine Petty with her three sons (Clarence is on right). Petty kept up his interest in flying, and when the CCC folded its tents in 1942, he joined the Navy as a flight instructor, then headed to the Pacific for work in Naval Transport. He flew to most of the dangerous atolls—Midway, Guadalcanal, Guam, among others—and was shot at but never hit. 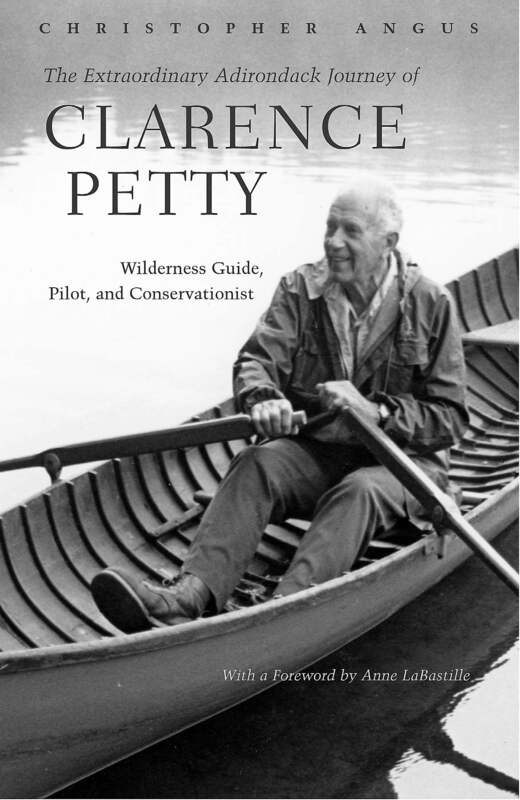 After the war, he landed a job as a district ranger at Cranberry Lake for the state Conservation Department, the beginning of over a half-century of conservation work in the part of the world Clarence Petty loved the most. 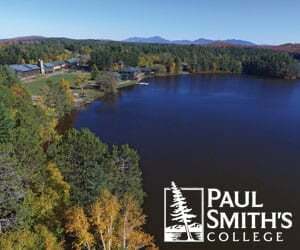 First as a state employee, later as a citizen activist, he devoted the rest of the 20th century to protecting the Adirondacks, a vocation that often set him at odds with neighbors and even family. In 1951 the state legislature set up a Joint Legislative Committee on Natural Resources. Known later as the Pomeroy Committee (after Assemblyman Watson Pomeroy, who became its chair), it borrowed Clarence Petty from the Conservation Department in the late 1950s to work on an intensive study of the Forest Preserve, identifying those areas especially suited for enhanced wilderness protection. This was Petty’s dream job: He was paid good money and given a ticket to paradise. In every season for the next four years, he bushwhacked, paddled or flew over nearly every acre of state land in the Adirondacks. Clarence learned to fly soon after college. 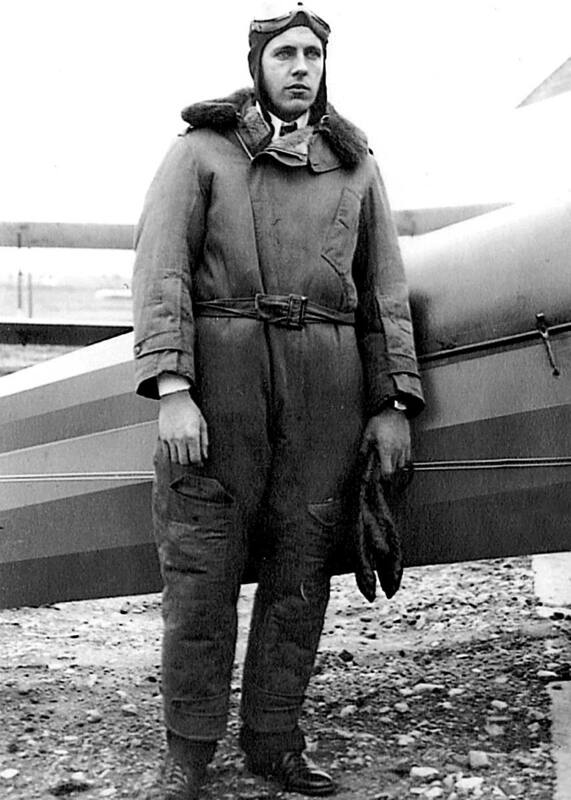 He trained other pilots until he was 95.